I almost hate to call these posts The State of Our Garden since I have done almost nothing toward putting in or maintaining it besides a trip to Lowe’s with Ryan and photographing our plants. I keep saying that my part comes when the harvest arrives. I’ll be cooking and canning and freezing. Right now, after a good solid month of equal parts rain and sunshine, our plant babies are growing well. 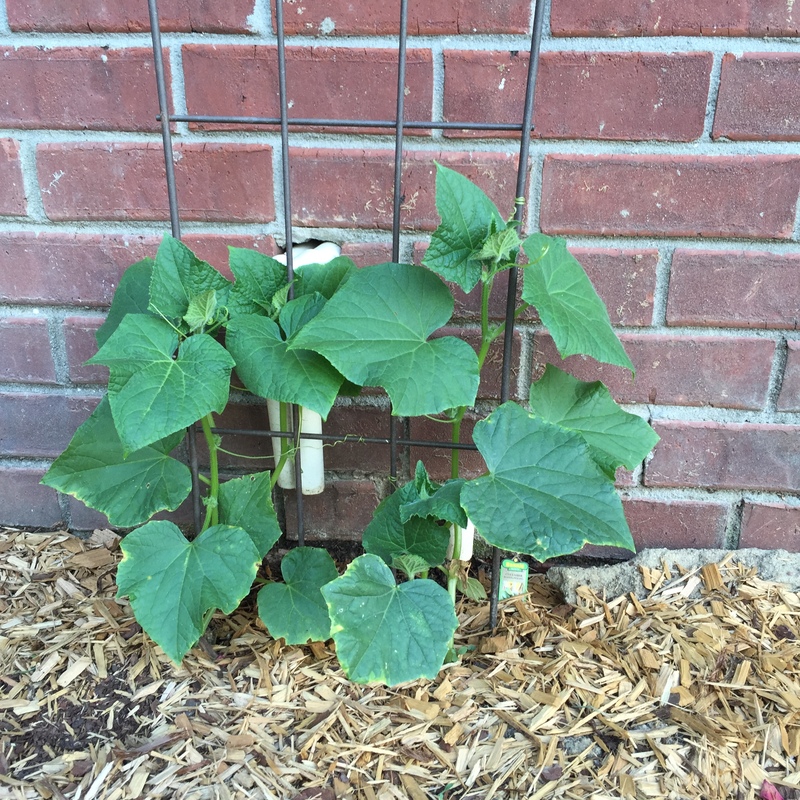 Ryan did have to replace a squash plant over the weekend, but everything else is growing well. 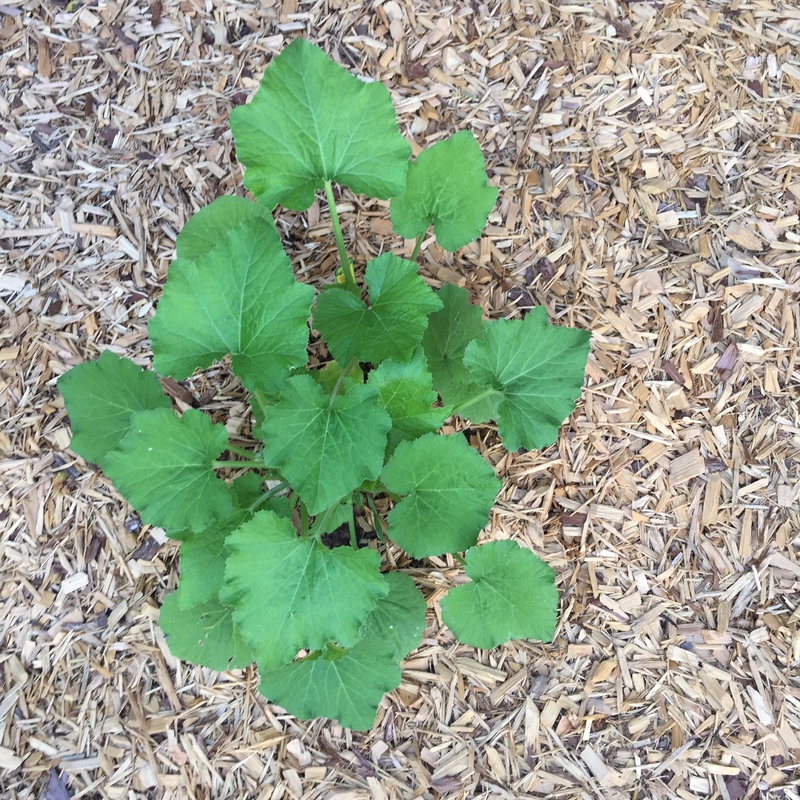 You can click here to see week 000 and a full list of what Ryan has planted. It’s crazy to think about what all has changed in only one month. We have run into some drainage problems due to the location of our garden and the lack of gutters on our house. Ryan put down some mulch and that seems to have helped. Ryan has been pulling weeds and adding some plant food to perk things up even more. 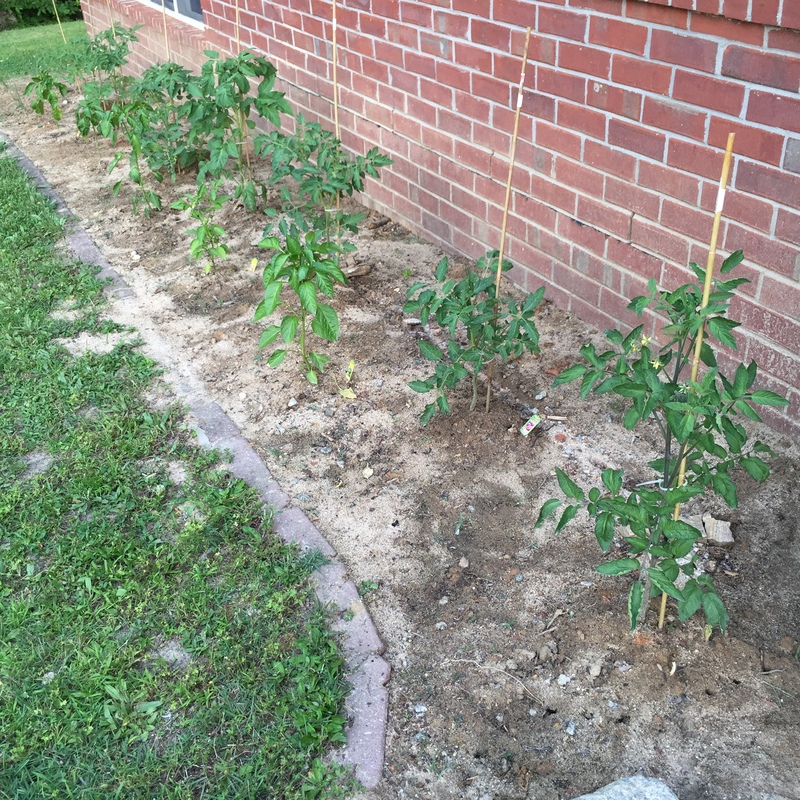 And the tomato plants were finally ready to have early bamboo stakes. I suspect that the cages will be coming soon. That’s where we are at week 004. I think the next update will be even more exciting. 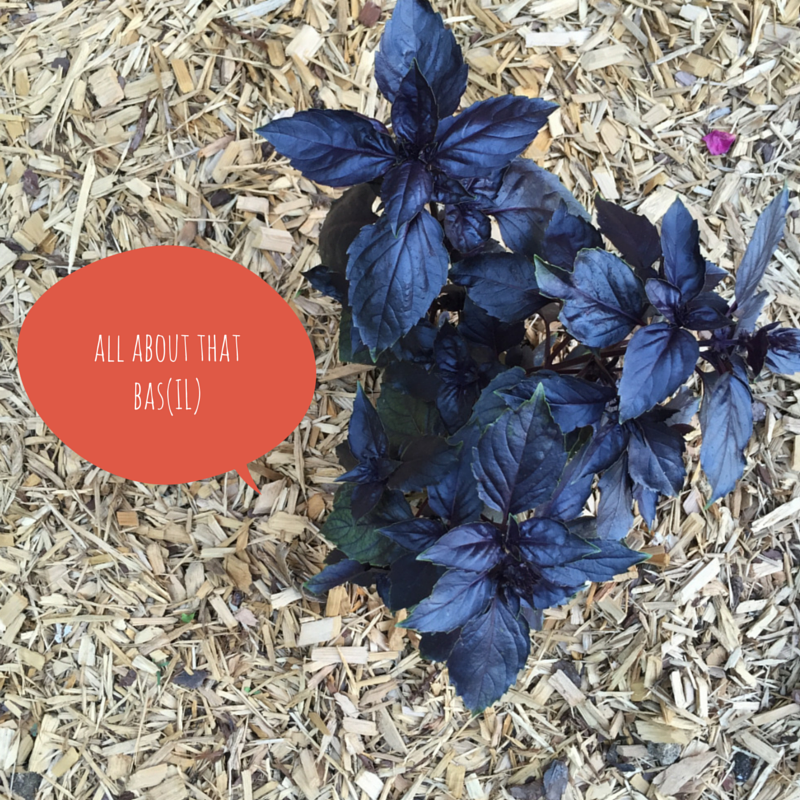 This year I have become overly interested in plants and growing things. 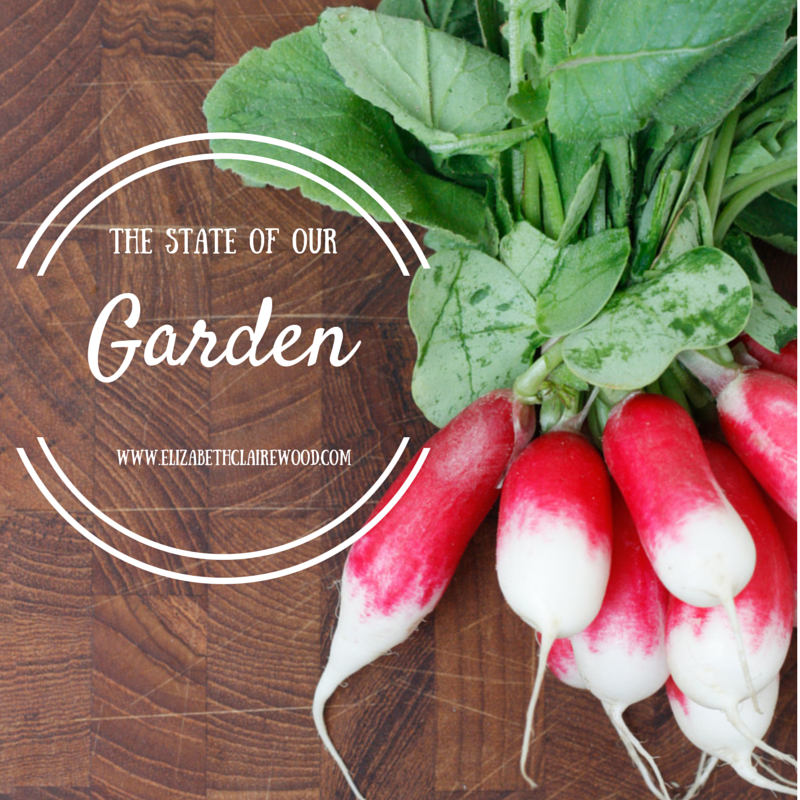 I think as a military spouse when I feel constantly uprooted and like my own roots have begun to grow only shallowly, having tangible plants makes me feel like we are invested in our town, our community, our house and our life here. My friend Gwen prays a prayer over military spouses when it’s time for them to say goodbye. She prays that their “roots wouldn’t dangle for long.” We have been here almost a year now and I feel like my roots are finally no longer dangling. It’s good to be grounded and growing right where I am planted.